What is the Century BOB? Who is the Century BOB meant for? Century BOB VS Century BOB XL – Which Is Better? 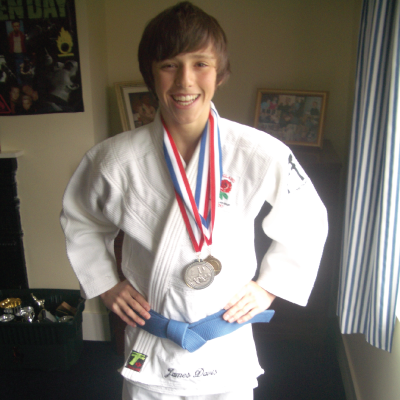 I’m a bit of a hoarder when it comes to martial arts equipment. 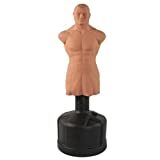 I can’t tell you how many free standing bags, speed bags, grappling dummies, pretty much any martial arts related gear that I’ve gone through. One of my all time favorites has to be the Century Bob or the Century Bob Xl. 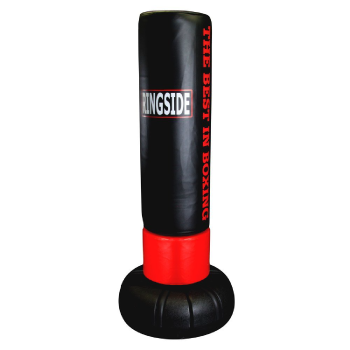 No other punching bag on the market can provide you with such a realistic striking experience. Throughout our Century Bob review, I’ll detail exactly what makes the ​BOB one of the best bags on the market, as well as how to set yours up and some drills you can run with your new Century BOB punching bag. 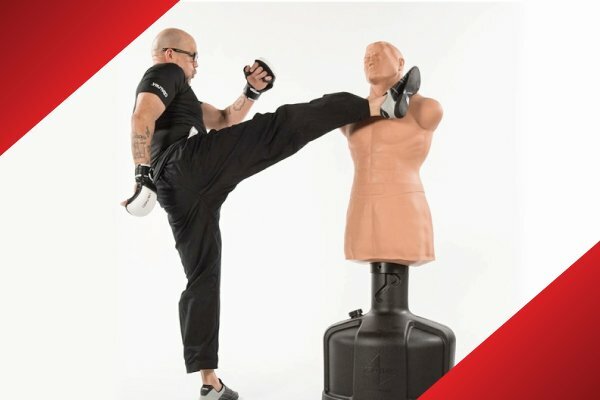 Summary: ​​BOB the punching bag is a realistic free standing heavy bag that's designed for martial artists to train ​striking with precision accuracy. ​The Century BOB is available in two sizes, the regular and XL models, with the XL bag extending down to the top of the thighs. 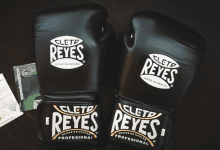 ​Soft, padded material means striking the dummy doesn't hurt, even without gloves. 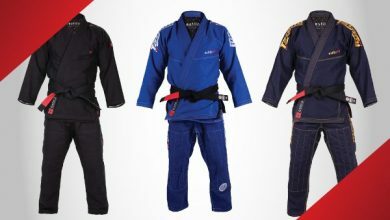 Century are a well known manufacturer of a wide variety of martial arts equipment and have become one of the go to brands for all things MMA. The Century BOB (Body Opponent Bag), is a realistic punching bag used by martial artists to train their striking accuracy when aiming at the torso area. 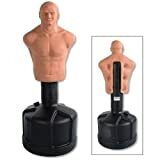 BOB the punching bag comes in two sizes – regular and XL versions and can be adjusted to suit the size of the martial artist. The Century BOB has become a common site in gyms across the globe thanks to its’ incredible quality, adjustable height settings and the realistic striking experience that it offers. So, what are the main benefits of using the Century BOB over other heavy bags? 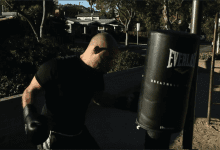 One of the main reasons people prefer to use any free standing punching bag, not just the Century Bob is because of the small amount of space that it requires. Traditional heavy bags need to be mounted onto the ceiling, meaning that you need to have some form of beam to hang the bag from. With the Century BOB and Century BOB XL, thanks to its weighted base, you can pretty much use the punching bag anywhere. The Century Bob also doesn’t swing from side to side like a traditional heavy bag would, meaning that the space it takes up is significantly less. I’ll go into how to set up your Century Bob later in the review, but it’s worth noting here that it’s a heck of a lot easier to set up than traditional heavy bags. All you have to do it fill the base with either water or sand, screw the body on and you’re ready to go. 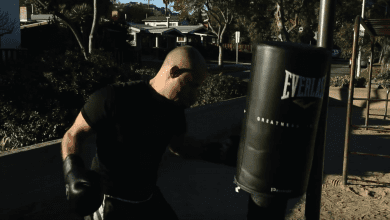 There’s no denying that striking on a traditional heavy bag is a great way to instill muscle memory, increase your speed and develop your movement. However, things are taken to the next level when you start to use the Century Bob or Century Bob XL. 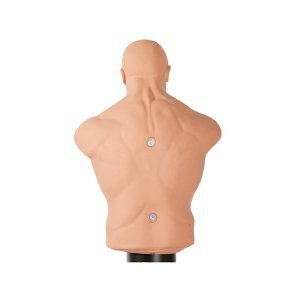 Thanks to the realistic punching bags lifelike design, you’re able to target your throws to specific areas of the torso and head. This allows you to develop the accuracy of your body and head strikes, as you can see exactly where about your throws land. When you’re training on a traditional bag, you just have to imagine where abouts on the body that your strikes are landing. Whether you’re throwing punches, kicks, knees or elbows, the Century Bob is the perfect way to refine the accuracy of your strikes. I am, unfortunately, one of the shorter guys in my gym. This means when ever I’m sparring or doing pad work, I’m always striking upwards. This is pretty annoying as in a real fight situation, the guy opposite my is going to be of a similar height. That’s why I love the good old Century Bob. It has 7 different adjustable height settings that go from shorter than even I need, to tall enough even for the tallest guy in our gym. The Century Bob can go from roughly 60” to 78” (5ft – 6ft 5”), which is probably one of the reasons why it’s such a popular choice amongst gym owners. 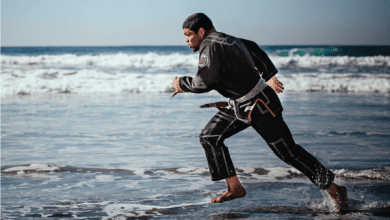 If you know you’re going up against an opponent that is either taller or shorter than you’re used to fighting, you can adjust the Century Bob to match the height you’re training for. This is kind of a pro and con in one. When we’re running heavy bag drills in the gym, we usually have a partner holding the bag from the other side. With the Century BOB, you don’t need a training partner to hold the bag as it doesn’t really sway too much when you strike it. This makes the Century ​BOB the perfect punching bag to have in your home gym, as it doesn’t require anyone to hold it for you. 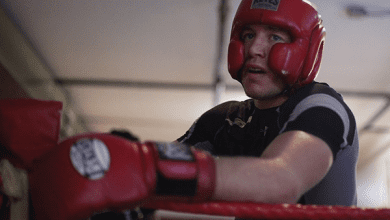 On the flip side, the sway of a traditional heavy bag allows you to practice your movement and checking your distance, which you can’t really do with the Century ​BOB. For that reason, I think it is a good idea to mix up your heavy ​bag work outs, as training on a a number of different bags will give you the best training experience. To be honest, the Century Bob isn’t just for martial artists. Heavy bag work outs are an extremely effective form of cardio work out, especially if you adapt a HIIT (high intensity interval training) approach to your routine. 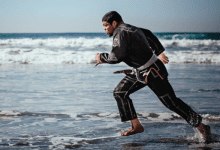 Any level martial artist can benefit from training with the Century ​BOB. 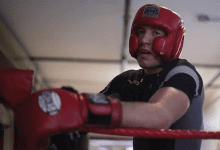 Whether it’s your first week ​of boxing or your 10th year, repetition is the key to instilling muscle memory. One of the best things about the Century BOB is that it’s extremely easy to set up and doesn’t require using any tools. The Century Bob arrives in two parts, the base and the body. It’s important to remember to fill up the base first before attaching the body. You’ve got the choice of either water or sand. I personally prefer using sand as it makes the base a lot steadier and stops the bag from sliding from the impact of your strikes. Having said that, filling it with sand is both harder and more expensive, which is annoying. If you’d rather use water instead then that’s completely fine as well. Fill the base up incrementally, stopping every now and again to check how full the base is. If you can’t see inside the base, put a ruler or something like that inside and see where the water comes up to. Once you’ve filled up the base, simply screw the body of the Century Bob into place and lift it up. Don’t use your full strength when you first start striking the BOB. Instead just throw a few light punches to make sure that it’s screwed in tight enough and that the base provides it with sufficient stability. Check out the video below for a full unboxing, assembly and review. Ok, lets get to the Century BOB review itself. I’m going to be honest here, the Century BOB isn’t as long lasting as regular heavy bags. This is due to the fact that the BOB is made using foam and plastic that can start to sustain some damage after repeated use. Where traditional heavy bags are design to withstand explosive power, the Century BOB is more designed to train accuracy. That’s not to say you have to take it easy on the BOB, it’s just worth being aware than repeated explosive blows may well cause some damage over time. Because of this, I’d recommend using the Century BOB alongside other heavy bag work outs. That way you can work on your accuracy with the BOB and your explosive power on other bags. The material used to construct the BOB is also fairly soft, meaning that it doesn’t hurt your foot when throwing kicks, nor do you have to wear shin guards or anything like that. Just a word of advice, don’t throw instep kicks / groin kicks, as you’ll stand a strong chance of kicking your foot against the stem of the BOB (which does hurt). 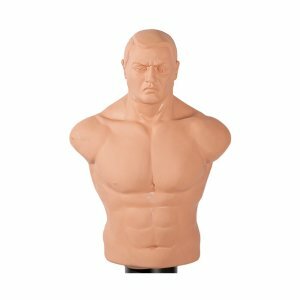 You can also remove the body from the base and use it do drill ground work techniques, which makes it by far one of the most versatile free standing punching bags on the market. The size of the base is able to contain up to 270lb worth of water when filled to the brim. Although this may sound like a lot, I’ve noticed that the base does lift slightly when you deliver a high powered kick, so be careful of what you have placed behind the BOB, just in case it knocks over. As I mentioned earlier, the Century BOB features an adjustable height system that allows the bag to range from roughly 60” to 78” (5ft – 6ft 5”). This is awesome as it lets you practice delivering strikes to opponents of different heights. In terms of price, the Century Bob is fairly expensive when compared to more traditional heavy bags. 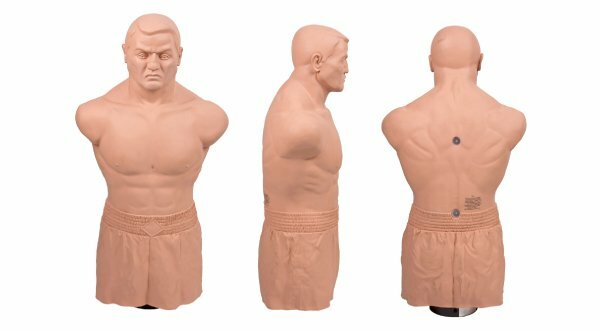 Although costing a fair chunk of change, the BOB is built to a very decent standard and is one of the only lifelike punching bags on the market. Moving onto the second section of our Century BOB Punching bag review, where we’re going to be taking a closer look at the XL model. The Century BOB XL is pretty much the same in terms of overall build quality. Again, it isn’t designed with high power blows in mind, more as a tool for you to hone in your striking accuracy. Although the material used to construct the Century BOB XL feels realistic and provides padding, it tends to wear down after receiving a fair amount of repeated blows. Of course, no punching bag is going to last forever, but I have noticed that the Century BOB’s tend to wear down slightly faster than other models. Similarly to the regular version, the body of the dummy can be removed from the base. This allows you to drill ground work techniques such as your ground and pound and saves you from having to buy a grappling dummy separately. As the XL would imply, the BOB XL is significantly larger than the regular version. The body of the bag has been extended downwards, so that it includes the upper thighs. This makes the Century BOB Xl perfect for throwing instep kicks / groin kicks as there is a much bigger surface area on the legs compared to the regular version. One thing that slightly annoys me about the XL version is that it has the same sized base as the regular version and can only hold around 270 pounds of sand or water. Due to the fact that the Century BOB XL is taller, I’ve found that it can topple over slightly easier. That being said, no free standing punching bag is going to be completely stable due to the nature of their design. To be honest, I was seriously surprised when I found out that the Century BOB XL is only marginally more expensive than the regular version. Considering it’s only around $50 more and it allows you to throw more of a variety of strikes, the Century BOB XL is by far the more attractive option in my opinion. Whether you go for the regular or XL version, both bags will provide you with a great training experience and are well worth having at home. This is more of a traditional style free standing bag and is by far one of the best on the market. The bag features a spring loaded design that makes it extremely hard to knock over. 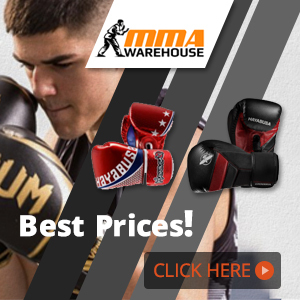 The outer layer of the bag is lined with shock absorbing foam that makes the punching bag both long lasting and comfortable to strike. There’s no denying that the Century BOB is a fantastic piece of equipment that will allow you to practice throwing strikes with pin point accuracy. If you’re wanting to throw leg kicks, then the Century BOB XL is by far the best option. If you’re not bothered about leg kicks or want to save a bit of extra cash, then the regular Century BOB is still a brilliant choice. Thanks for taking the time to read our Century BOB review, I hope that you’ve found it useful! If you’ve got any questions at all, please feel free to comment them below and I’ll get back to you as soon as I can. Ok, so now we’ve finished our Century BOB and Century BOB XL review, lets take a look at some exercises you can do with your new ​free standing ​dummy. ​Product images courtesy of Amazon.com. Featured image by XTRMGears.com, adapted by MMA Station. 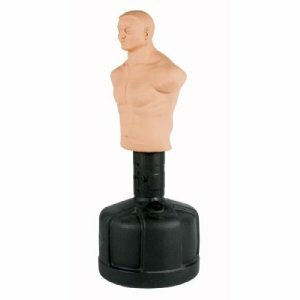 Both the Century BOB and the Century BOB XL are exceptional free standing punching dummies that allow you to develop your strikes targeted at specific areas of the body. 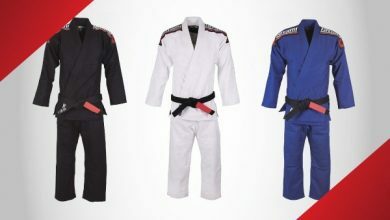 Despite being rather pricey, the Century BOB is definitely a worthy investment for an martial arts enthusiast.